Welcome to our live blog from the College Station City Council’s workshop and regular meetings on Monday, Feb. 25. It’s not the official minutes. Welcome to our live blog from the College Station City Council’s workshop and regular meetings on Thursday, Dec. 13. It’s not the official minutes. With leaves changing colors and temperatures cooling, fall is in the air, and the annual Senior Fall Fest is just around the corner. What started as a simple idea for a fall picnic has turned into one of the fall season’s most anticipated events for senior adults. In 2007, a group of older adults noticed that many friends were spending too much time alone at home. They wanted to find a fun way to get those folks out of the house and socializing again. The City of College Station Parks & Recreation Department and the Senior Advisory Committee collaborated, and Senior Fall Fest — a social picnic just for seniors — was born. For more than a decade, hundreds of adults 55 years and older have gathered to enjoy an evening of dancing, door prizes, fellowship, and fun. Seniors are invited to bring friends to join the free celebration from 5-7 p.m. on Thursday, Oct. 25 in the American Pavilion at Veterans Park & Athletic Complex. Fall Fest will begin with a welcome from the Brazos Valley Council of Government’s Ronnie Gipson, followed by Chaplin Gary Roe leading a prayer and the Pledge of Allegiance. Fuddruckers hamburgers will be served, along with a classic cake walk with desserts donated by Senior Fall Fest sponsors. The event also features door prizes and entertainment by the Lil Aggie Wranglers, the local senior line dancing group Rhythm Rockers, and music by Gene Woodell. Participants are encouraged to wear costumes with prizes awarded for best dressed. Registration is not required. For more information visit cstx.gov/seniors or call 979-764-6351. We offer a special thanks to our Senior Fall Fest sponsors: Angels Care Home Health, Accel at College Station, Bluebonnet Place Assisted Living Community, Brazos Valley Area Agency on Aging, Caring Transitions of Brazos Valley, CHI St. Joseph Health Mature Well Lifestyle Center, CHI St. Joseph Health Rehabilitation Hospital an affiliate of Encompass Health College Station Medical Center, Comfort Keepers, Commerce National Bank, Compassionate Care Hospice, Franklin Nursing Home, H-E-B, HealthQuest Home Health, Hillier Funeral Home, Hospice Brazos Valley, Isle at Watercrest Bryan, LULAC Oak Hill, Parc at Traditions, Pathways Hospice, Right at Home: In-Home Care & Assistance, Rock Prairie Behavioral Health, Signature Select Services, Texas Home Health Hospice, United Health Care, and Visiting Angels. 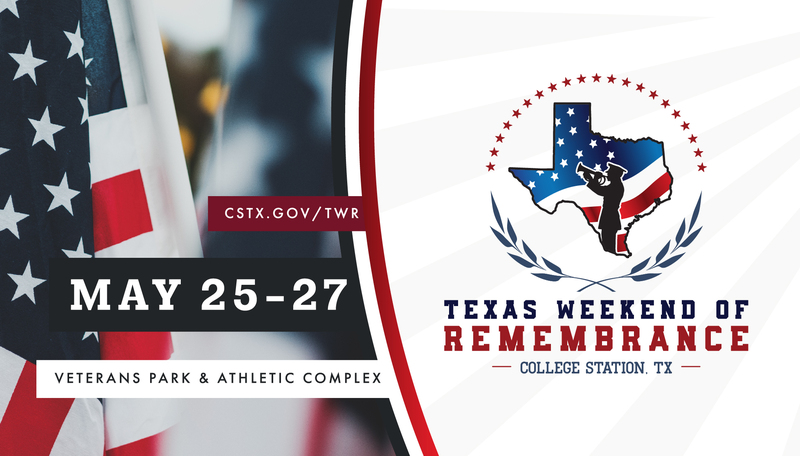 Tucked away in College Station’s Veterans Park and Athletic Complex at 3101 Harvey Road is a hidden gem – a 12-acre site dedicated to veterans from our nation’s wars. The Brazos Valley Veterans Memorial includes life-sized statues, a Wall of Honor, interpretive panels and memorial sites. Chartered in 2000 as a non-profit corporation, the Brazos Valley Veterans Memorial is supported by generous community residents, organizations, and partners, including Brazos County and the cities of Bryan and College Station. The Brazos Valley Veterans Memorial’s all-volunteer board of directors proudly contribute time and resources to salute our veterans. Their mission is to proactively pay tribute to veterans through an educational venue where future generations can learn that freedom comes with a heavy price. Former President George H.W. Bush helped dedicate the Brazos Valley Veterans Memorial on Nov. 10, 2002. Bush said “The Brazos Valley community can stand proud. The names that mark the memorial showcase the sons and daughters who gave dedicated service to our nation so that future generations can share the freedoms we enjoy. Bush later said the Brazos Valley Veterans Memorial is of similar quality to those on the famed National Mall in Washington, D.C. Within the Louis L. Adam Memorial Plaza sits the 250-ton red granite Wall of Honor, which serves as the memorial’s focal point. 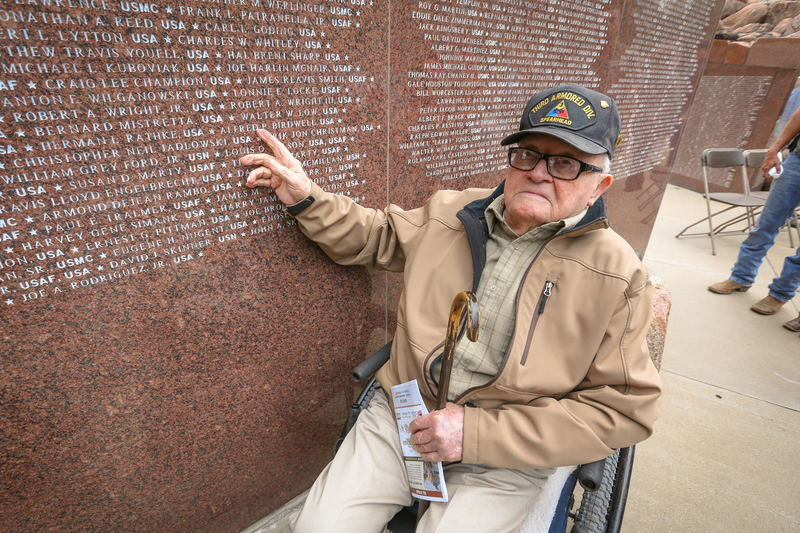 The wall bears the etched names of more than 5,000 veterans representing all periods of U.S. history who are family and friends of Brazos Valley residents. 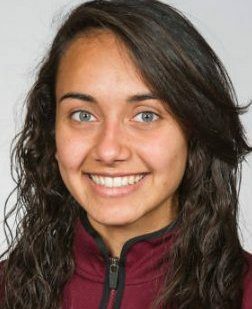 Notable names include 24 presidents and seven former Texas A&M University students who received the Medal of Honor, the nation’s highest military award. The bronze sculpture mounted at the top of the wall depicts a G.I. carrying a fellow soldier to safety. The status is the work of artist Robert Eccleston of Schuyler Falls, New York. Do you know of a respected veteran you’d like to add to the Wall of Honor? The veteran may be living, deceased or active, and does not have to be a Brazos Valley resident. The cost is $150 per name, and the application deadline is Aug. 15 each year. New additions are recognized at the annual Veterans Day Ceremony. Names received after Aug. 15 will be recognized the following year. Named after Brig. Gen. Louis Lynn Stuart (U.S. Army), the Lynn Stuart Pathway is a half-mile trail connecting the memorials. The pathway features interpretive panels with historical background for each conflict, granite markers, and steel benches adorned with donor plaques. Of the trail’s 18 memorial sites, 10 have life-sized, bronze statues designed and sculpted by Navasota’s J. Payne Lara. Notable sites along the trail include the War on Terror Memorial that displays a steel relic from one of the World Trade Center towers and the Vietnam War Memorial that features a 15-foot-high bronze UH-1D Huey helicopter plate depicting soldiers preparing to drop into a dangerous landing zone. Future statues are planned to commemorate the Spanish-American War, Philippine Insurrection, China Relief Expedition, Mexican Border Service, Granada/Panama/Dominican Republic, Southwest Asia (Desert Storm/Shield), and Kosovo War. On Sunday, Nov. 11 – the 100th anniversary of the end of World War I – the Brazos Valley Veterans Memorial Board will dedicate a World War I statue titled Over the Top at 4 p.m. at the World War I memorial. The Veterans Day ceremony will follow at 5:30 p.m. at the Louis L. Adam Memorial Plaza. The events are free and open to the public. The Brazos Valley Veterans Memorial board strives to preserve the history and memory of military service members while providing educational opportunities for the community to learn about our history. Your generous donation can be directed toward a specific memorial or for the memorial grounds in general. To donate, add a name, or learn more about the Brazos Valley Veterans Memorial, go to bvvm.org or contact us at 979.696.6247 or info@bvvm.org.